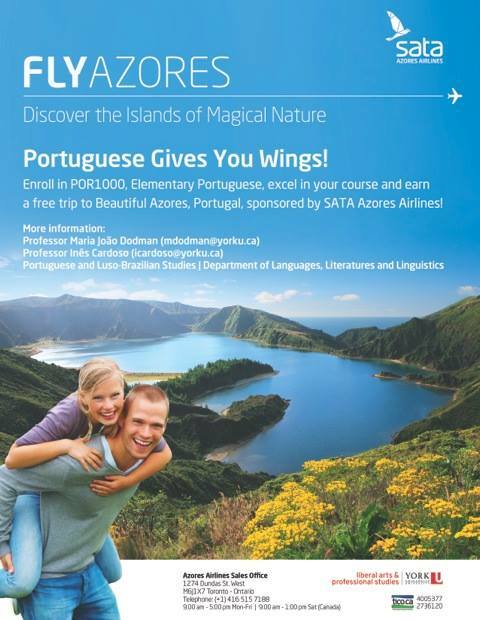 Sponsored by SATA, Azores Airlines, the Award Portuguese Gives you Wings! was created in the academic year of 2015/16 at York University. This award aims at recognizing academic excellence in an Elementary Portuguese language class (POR1000). Therefore, the award will honor the best performing student enrolled in the discipline. The student awarded will receive a free trip to the beautiful region of the Azores, Portugal, courtesy of SATA, Azores Airlines.